Display, exhibit and preserve artwork, photographs, documents, etc. mats have a window opening of 7.5 x 9.5 in. to display 8 x 10 in. images. 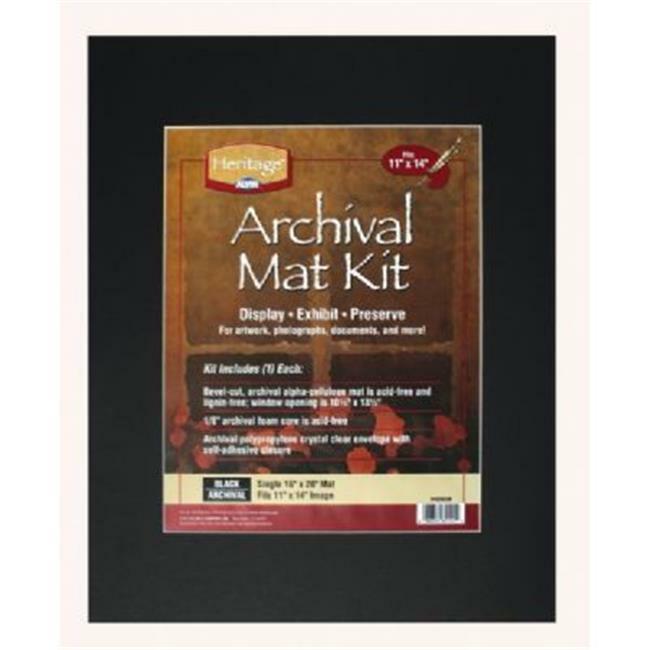 Each archival series mat kit includes bevel-cut, archival alpha-cellulose 0.06 in. thick mat board that is acid-free and lignin-free, 0.12 in. thick archival and acid-free foam core, and an archival polypropylene crystal clear envelope with self-adhesive closure. Meets all Library of Congress conservation standards.